If you are looking for a great outdoor camping experience, Wenzel tents are a great option. While you are on a camping trip, safety and comfort are paramount for which you need the right gear. The tent you choose should be a safe shelter for protection from elements, provide enough living space, and space for gear storage. Wenzel tents are designed to offer safety and comfort to make your camping experience a memorable one. Made of durable materials, these tents are reliable and sturdy to withstand harsh weather. 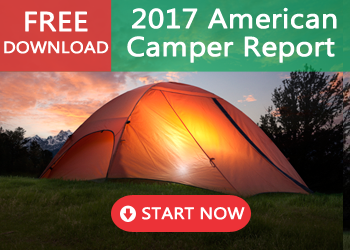 Besides their quality, they are affordable and are popular among campers for multiple camping activities. A Wenzel tent is a great addition to your camping gear. Wenzel tents are high-quality tents designed for multiple camping needs. There are several models for you to choose from. The Wenzel Klondike tent is a popular model among Wenzel tents. It is a safe and reliable option for a great camping experience with family or friends. It comes with a dimension of 16’ X 11’ that can accommodate up to 8 people comfortably. The 6.5’ headroom provides ample space for you to stand and move with ease within the tent. Ninety-eight square feet of interior space and 60 square feet of screen room area facilitate comfortable accommodation for campers and their gear. You can use the screen room as a sun shelter, a gear room, or just an area for relaxing. A full mesh roof and two mesh windows ensure proper ventilation and protection from insects such as mosquitos. The rear mesh vent enhances ground breeze that adds to your overall comfort. This Wenzel tent is made of Weather Armor polyester fabric from top to bottom. With polyurethane water-resistant coating, it provides great waterproofing. The double-stitched, lap-felled seams protect the tent from water during rain. Tent parts such as threads, zippers, and webbing are treated with water repellents that ensure a dry interior, even in a downpour. This Wenzel Klondike tent has two sections: a screened sunroom and a sleeping room. These areas are spacious and comfortably allow five people in the sleeping room and another three in the sunroom. In case your group has five or fewer campers, the entire sunroom can be used as a storage area for gear, shoes, and other items. This will add more living space for campers. 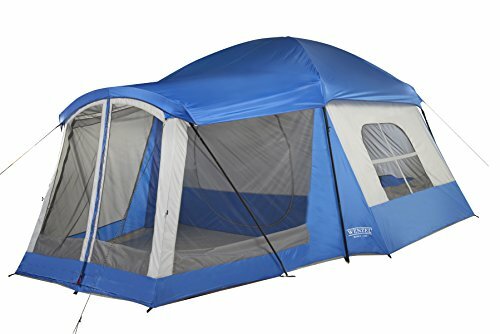 The tent has two doors for an easy entry and exit. The Wenzel Klondike tent comes with a fiberglass frame and water-repellent fabric. The tent comes with an inverted “T” interior flex style door, welded polyethylene floor, fiberglass frame, steel/plastic stakes, and weighs 27.3lbs. Wenzel tents are of high-quality, designed for safety and comfort of campers. To provide you with a fair range of option for a high-quality tent, we compared four models of Wenzel tents. Their price varied significantly, ranging from $40 to $150 on Amazon. The medium-priced Wenzel Klondike fell at about $140 on Amazon. We picked a few similar Wenzel tents available on the market to see how they compare. There is nothing like a Wenzel Klondike tent for camping with family or friends. It is large enough to accommodate 8 campers comfortably. The front awning is large enough to form a “camping porch,” well-protected from sun and harsh weather, giving you a home-like feeling while camping outdoors. The front awning enables a dry tent entry. Along with the rain fly and zippered windows, it provides excellent protection from harsh weather. If you have a lot of gear, you can store it comfortably in the gear loft provided. In the event of high winds, the tent’s stability is ensured by the “Power Corners.” If you have items that require quick access, you can store them in the two hanging pockets within the tent. The tent comes with a floor area of 90 square feet and a screen porch providing ample living space for the campers and their gear. The single T-style door enables easy entry and exit, and the two windows provide excellent ventilation. The welded floor provides proper waterproofing. The fiberglass frame and the steel and plastic stakes make the tent sturdy and easy to set up. It also comes with a carry bag for hassle-free storage. The Wenzel Klondike tent comes with a fiberglass frame and steel/plastic stakes for easy installation. The large front awning provides additional covered space to leave gear or shoes. The floor is made of welded polyethylene, and its reinforced corners increase the tent’s stability in high winds. The Wenzel Klondike tent comes with a fiberglass frame and steel/plastic stakes for easy installation in less than 30 minutes. It comes with a front awning for dry tent entry and weather protection along with a rain fly and zippered windows. The mesh roof vents provide ventilation and bug protection. The attached screen room can also be used as a sun shelter, a picnic room, a gear room, or a room just to relax in. This tent comes with a 10-year warranty. The Wenzel Alpine 3-pole pentadome polyester tent is one of the best Wenzel tents. It features a single room that measures 8′ X 8.5′ with the third pole creating a vestibule, giving an area for storing gear and to provide weather protection. It is designed to accommodate up to 3 people. This tent has a D-style door with a mesh window and additional closable mesh windows for great cross ventilation. A gear loft and hanging gear pocket are included for extra storage. The integrated mud mat with a drainage strip helps to keep the tent clean. It measures 8.5’ X 4‘ X 8’ (W X H X D) and weighs 8 pounds. 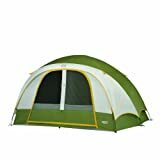 Amazon sells this tent for about $40. The shock-corded fiberglass frame and pole pockets make set up quick. A gear loft and hanging gear pocket are included for extra storage. 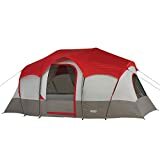 Users report this tent is easy and fast to set up. The Wenzel Alpine 3-pole pentadome polyester tent has a D-style door with mesh windows for great cross ventilation. It features a single room that measures 8 X 8.5 feet with the third pole creating a vestibule, giving an area for storing gear and weather protection. Three mesh windows and roof vents. Hanging divider curtains create two separate rooms. Hanging pockets. E-port for electrical cords. Pre-attached guy ropes for added stability. Stakes and storage duffel included. The Wenzel Blue Ridge tent is a 7-person model among Wenzel tents. Everyone in your camping group will have enough space in this specially designed model. It comes with a tall design providing extra headroom and 4 pockets for gear storage. The tent is crafted from polyester with a welded polyethylene floor and removable seam-sealed fly to keep out the elements. It is designed with multi-diameter poles for more headroom and a hooped fly pole over the door for extra rain protection. The removable divider curtain with an “I” zipper creates two separate sleeping areas. It comes with a D-style door with an inside privacy flap zippered window, removable seam-sealed fly, and mesh roof vents for ventilation. It has an e-port for electrical cord access and 4 pockets for storage. It has a single door and a single window. It has a floor size of 14’ X 9’ and a floor area of 117 square feet. It has a peak height of 72” and weighs 18lbs., 2oz. Provided ropes ensure additional stability when setting up the tent. A removable zippered divider curtain in this tent affords users an extra element of privacy. Amazon sells this product for about $120. It has extra headroom for stretching and four pockets for gear storage. The multi-diameter poles provide more headroom and a hooped fly pole over the door provides extra rain protection. Installation is easy and fast in less than 30 minutes. Ropes provided ensure additional stability. This tent is well-designed for camping. The tall design adds extra headroom, and 4 pockets provide organized gear storage. It is made of polyester with a welded polyethylene floor and removable seam-sealed fly to keep out the elements. It comes with a D-style door with inside privacy flap zippered window, removable seam-sealed fly, and mesh roof vents for ventilation. It has an e-port for electrical cord access. You may return most new, unopened items sold and fulfilled by Amazon within 30 days of delivery for a full refund. Wenzel Evergreen 6-Person Tent comes with a removable divider curtain that makes it easy to create two separate sleeping areas. Large back-to-back D-style doors offer two convenient entrances with privacy-flap zippered windows. This Wenzel Evergreen family dome is designed to accommodate up to six campers in its two rooms, making it ideal for mid-size families or couples with lots of gear. It comes with three mesh windows and a mesh roof combined to create a refreshing cross breeze on warm evenings. The shock-corded fiberglass poles with “Fast Feet” enable a quick setup. This tent comes with Weather Armor polyester fabric with a polyurethane coating.It comes with gear loft for storage, and there is an e-port for electrical cords. The pre-attached ropes can be used to create added stability when setting up the tent in case of wind. Amazon sells this product for about $85. The removable divider curtain makes it easy to create two separate sleeping areas. Large back-to-back D-style doors offer two convenient entrances with privacy-flap zippered windows. It is spacious and weather-resistant. The shock-corded fiberglass poles enable a quick set up in about 30 minutes. The pre-attached ropes provide added stability. It comes with a removable divider curtain that makes it easy to create two separate sleeping areas. Three mesh windows and a mesh roof combine to create good ventilation. It comes with Weather Armor polyester fabric with a polyurethane coating and gear loft for storage. There is an e-port for electrical cords. This tent comes with a 10-year manufacturer’s warranty. Wenzel tents are known for their quality and reliability. We compared four different models, and it’s hard to call out one as a clear winner. 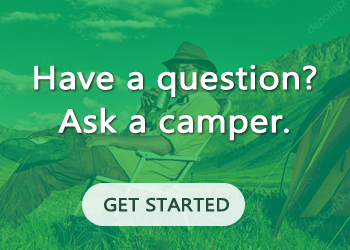 For the most part, it’s up to the user to decide what size tent they need and if they require features like electronic charging ports. These tents all provide casual campers with a decently-made tent, plenty of space, and nice additional features to make them comfortable and functional. As far as tents go, they are all relatively cheap and are therefore very competitive with lower-end tents. Serious campers who plan to use their tent regularly and in potentially harsh conditions may want to choose a brand that offers longer lasting tents, but for the majority of campers, Wenzel provides good tent options. Combined with a quality warranty, their features make these Wenzel tents worth a try to take on an occasional camp out, especially with larger groups or lots of gear. 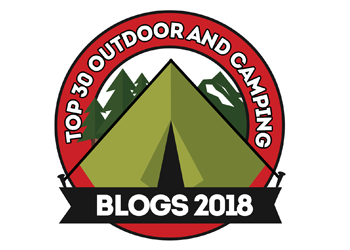 We really like the Wenzel Klondike Tent and recommend that as our top choice among these four.